The password should contain at least 8 characters, including minimum one small letter and one capital letter. You can edit your personal data after logging into your account and clicking “Your account”. I agree to place my personal data in the Data Base of the Program Organizer, i.e. 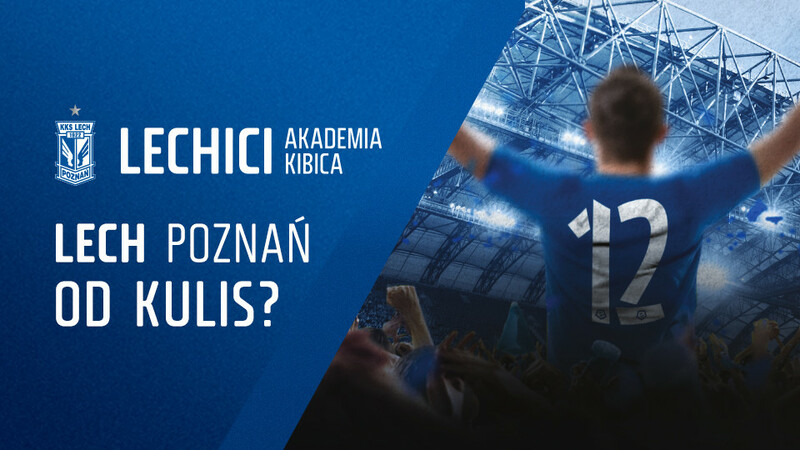 KKS Lech Poznań S.A. with headquarters at 17 Bułgarska Street, 60-320 Poznań and their processing in accordance with the provisions of the Regulation of the European Parliament and of the Council (EU) 2016/679 of 27 April 2016 on the protection of individuals with regard to the processing of personal data and the free circulation of such data and the repeal of Directive 95/46/EC (general regulation on data protection) for the purposes of participating in the LECHICI Attendance Program. I have been informed about the right of access to the given data and the possibility of correcting it. I have also been informed that I can withdraw my consent at any time and its withdrawal is as easy as expressing it. I agree to receive operational communication through text messages. I have also been informed that I can withdraw my consent at any time, and withdrawing it is as easy as expressing it. I agree to receive operational communication through email. I have also been informed that I can withdraw my consent at any time, and withdrawing it is as easy as expressing it. I agree to receive marketing content electronically through text messages. I have also been informed that I can withdraw my consent at any time, and withdrawing it is as easy as expressing it. I agree to receive marketing content electronically through email. I have also been informed that I can withdraw my consent at any time, and withdrawing it is as easy as expressing it.